We had a very busy and exciting December! 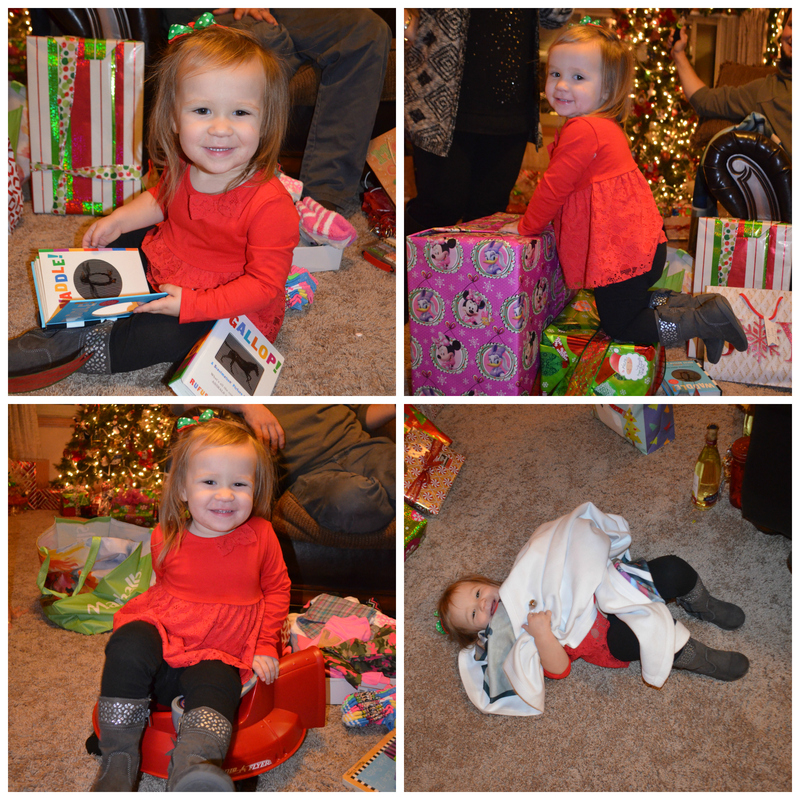 Our month was filled with Christmas fun, family, cold weather, watching movies, and new toys. We were lucky to get to spend about 10 days in our hometown in Indiana with our family, and we came home packed like sardines with all of the kids’ new toys! Here were the highlights of our December. Kinsie was so excited about her music program at school. Whenever I would ask her what songs they were going to sing, she would say, “It’s a surprise! You’ll have to wait and see!” The funny thing is, they sang Rudolph, Away in a Manger, Jingle Bells…nothing super unique, but she was so proud! She was a rockstar and was one of the few kids in the group who followed directions the whole time and did all the motions. Ryan was on night shifts during this time, so he came home from work around 8am, went to sleep for a few hours, woke up to come to the program at 11, then went back to sleep when it was over. Kinsie was so happy that we were all able to come see her program. Brax was the proudest little brother ever and showed her with lots of hugs afterwards! Kinsie always loves meeting Santa, and Brax was a champ meeting him last year…mainly because he was too young to really understand that a strange man with a white beard was holding him instead of his mom, but this year he was very aware! I knew he probably wouldn’t be feeling it…even though the whole way there he acted excited and continued to shout “Ho Ho Ho!” whenever we talked about Santa. Once we were near him, nope! He wouldn’t leave my side. Kinsie did great and told Santa what she wanted for Christmas. Since Brax wouldn’t sit with Santa, we had to get the whole family in the picture because I was not going to be that mom that pays $25 for a picture of my child screaming with Santa! We couldn’t go see Santa without Kinsie’s princess crown! 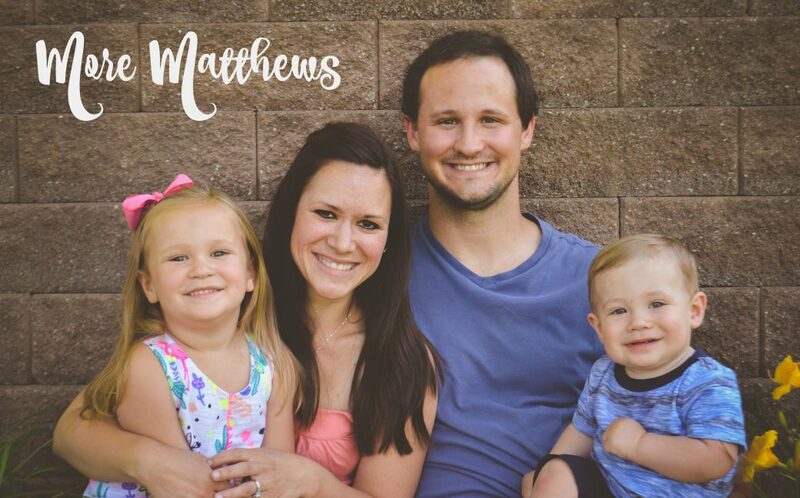 One of the things that attracted Ryan to the UAMS Emergency Department was how family oriented they are. 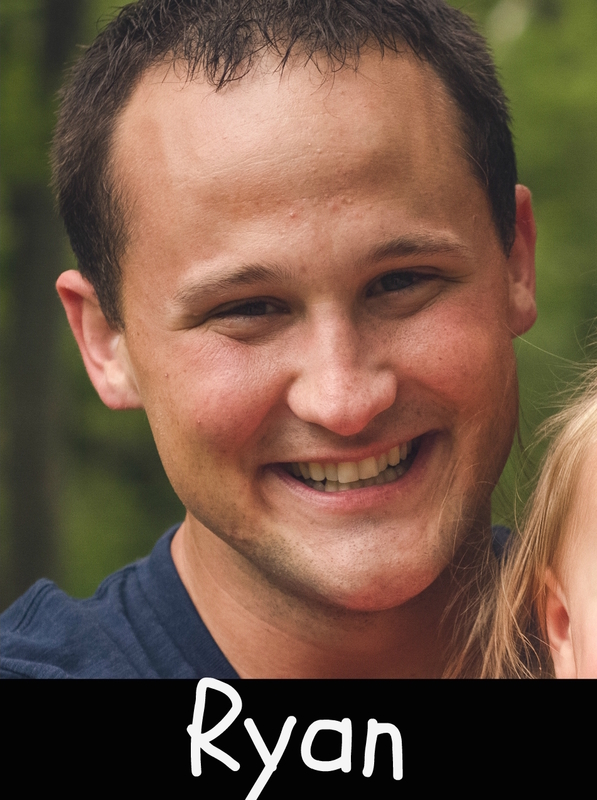 They include families in all of their get-togethers, and obviously family is Ryan’s priority. Every year at the Emergency Department Christmas party, the department head’s wife buys all of the residents’ kids Christmas presents…and not the cheap junky toys, but really good toys. Santa even came to the party to deliver the presents. 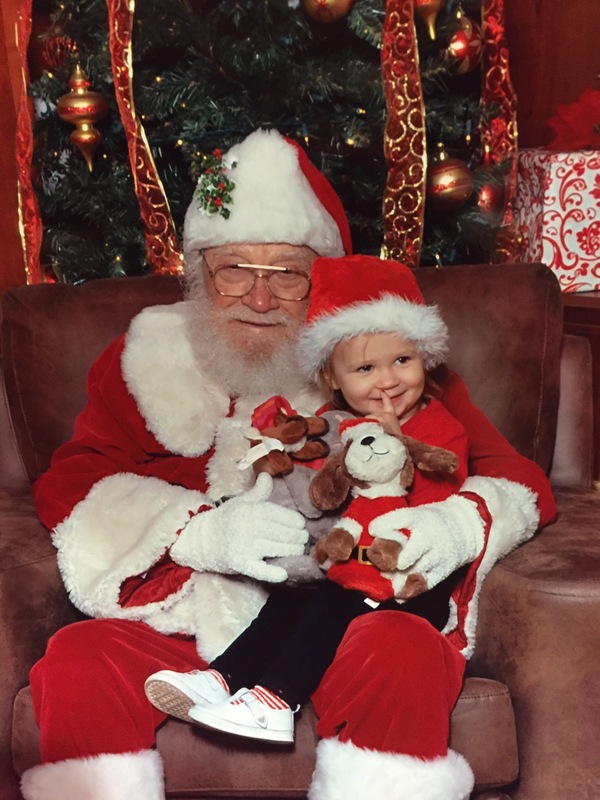 Again, Kinsie loved meeting Santa, even though she said that he looked different than the Santa she met at the mall, so he must just be one of Santa’s helpers. And again, Brax wanted nothing to do with Santa! (as seen in the picture below). Kinsie got an Elsa doll (her fave) and a really nice play kitchen appliance set. Brax got a set of cars and balls, and a construction truck that came with a hard hat and mega blocks. The kids were PUMPED about their gifts…and Brax wanted it all opened right away and was not happy that he couldn’t open it himself (again, as seen in the picture below). 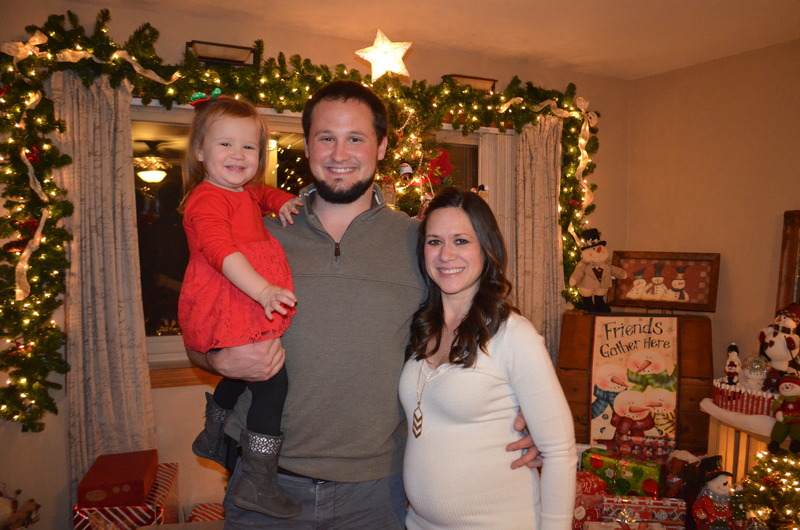 We had a great night with friends, food, Santa and gifts! We were so lucky that we were all able to go home to Indiana to spend Christmas with our families. Even though it was VERY cold, we were so grateful to be surrounded by the people we love most. Like most visits home, the kids’ favorite part was definitely all the special cousin time! They played at an indoor playground together, had a few sleepovers, decorated cookies, and spent countless hours drawing, doing puzzles, playing with princesses and dressing up together. The bond between these five kids is something so special, and even living 500+miles away from each other doesn’t change that! The few days surrounding Christmas are always super busy, but we love it. We always have several places to be and families to see. The kids function best when they are staying busy and are surrounded by a lot of people, especially now that we live away from all of these people. We started with Ryan’s immediate family gift exchange, then went to Aunt Renata’s after church on Christmas Eve to exchange gifts with Ryan’s dad side, then spent Christmas morning with my family, then finally went to another one of Ryan’s aunt’s house to spend time with Ryan’s mom side. Lots of places to be, but we loved every minute of it. The kids got SO many gifts and saw lots of aunts, uncles, and cousins, so they were happy! Santa was informed ahead of time that we wouldn’t be in our home in Little Rock for Christmas, but would be at my parents’ house, so we brought along our stockings and Santa made all his deliveries there. Kinsie was in princess heaven, and even though Brax didn’t feel great, he loved all of his cars, Batman, Mickey and fish toys. My parents loved having little kids for Christmas morning again too. After a while, my sister’s family came over so we could all exchange gifts. At every family Christmas we went to, Kinsie especially loved sorting and passing out all the gifts to everyone (she’s in the beginning stages of reading, I can barely believe it!) The kids spent hours opening and playing with all their new toys together. We had to head back to Little Rock before New Year’s for Ryan to get back to work, but luckily he is on day shifts so he was able to be with us for New Year’s fun in the evening. We had a little party with karaoke, dancing, balloons, noise makers, Apples to Apples, Guess Who, and sparkling cider. We even had a countdown before the kids’ bedtime. Last year, Kinsie stayed up until midnight at my sister’s house with her cousins, but I knew since she didn’t have anyone other than us to entertain her for an extra 4 hours, we just did an early countdown and then both kids went to bed. We had a great family night together. In my last post, I mentioned how Ryan’s grandma was sick and in hospice care. At the time, she was given 2 weeks to live. We visited with her several time while home for Thanksgiving, but we were blessed to get to visit with her again while home for Christmas. We spent the morning with her the day after Christmas, and she loved talking with us and watching the kids play. 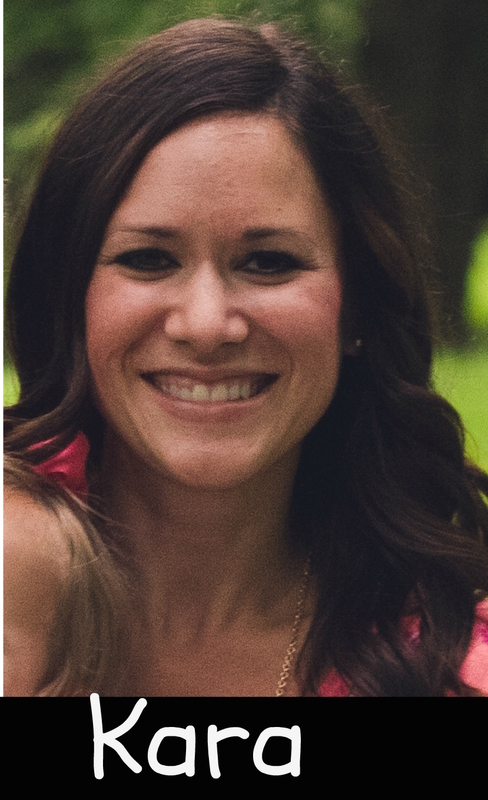 A few days later, she took a turn for the worse, and just the other day, seven weeks after she was given only two weeks to live, she finally went home to heaven. While this is so hard for her 8 children, 20 grandchildren, 19 great grandchildren, and the many other people who had the pleasure of knowing and loving her, she was ready for a long time to be with the Lord. She was such an amazing woman, and I still give her credit for helping Ryan and I find our way back to each other 8 years ago. I feel honored to call her family. We had a wonderful December, and we are so blessed that Ryan was able to get off work for a week to join us for Christmas. I know how much it meant to him to be home with us for Christmas, and especially to get to see his grandma one more time. Christmas is extra magical when you have children, so we all look forward to it every year. I love teaching the kids about Jesus and how he is the reason we give and receive gifts for Christmas. Every year, Kinsie understands this concept a little more, and this year in school she learned even more about the Christmas story. She loved reading stories about Baby Jesus’s birth in the manger, and playing the story out with her Fisher Price manger set. Brax is obviously just learning to talk and understand things, so we taught him to recognize Baby Jesus. It sounded more like “Baby Cheese,” but we knew what he meant! Merry Christmas and Happy New Year to all of my friends and family! Kinsie’s cousin Emery had her 3rd birthday party at the beginning of the month, and it was a “Breakfast with Santa” party. It was so cute and so much fun! Santa came and each kid got to sit on his lap and take pictures with him. Like on the Polar Express, Kinsie was very shy, but excited to see Santa. Brax was all smiles like usual! I have always said that I would never force my kids to visit Santa and sit on his lap and get a picture of them crying…I would only take them if they wanted to see him. Last year was the first year that Kinsie really could have a choice, and she wanted to meet him. 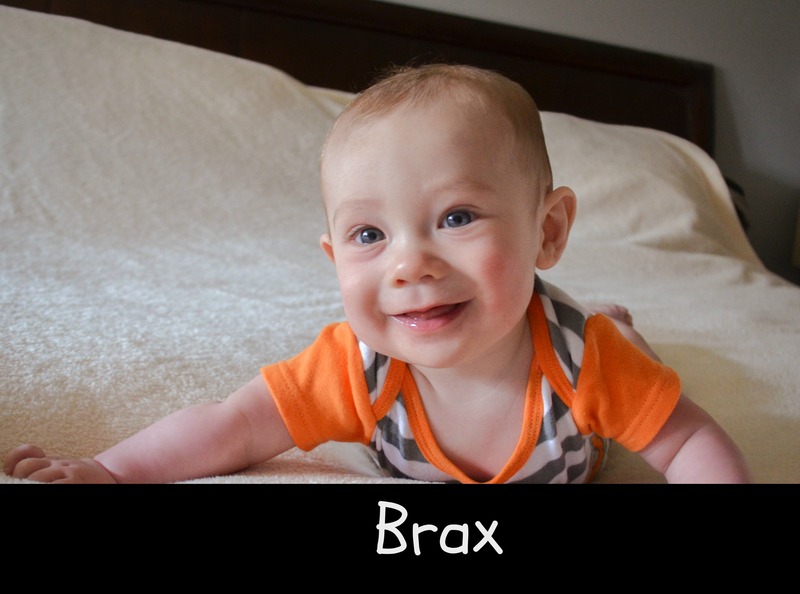 Same with this year, and Brax is still young enough that he doesn’t seem to care either way. We visited the same Santa we did last year, he is a great one! Both the kids did great! Kinsie’s preschool had a Christmas music program this month. They have been practicing their songs for quite a while now, so Kinsie had been singing them to me at home constantly. She particularly liked the song “Oh What a Special Night,” which is about Baby Jesus being born and all the animals in the manger singing to Him for His birthday. It is a precious song, and luckily her cousins knew it too…so they later sang it on the beach in Florida! Kinsie did awesome in her program! She sang all the words, (we could even hear her among all the voices) and did all the motions. It filled my heart with so much joy to see her singing so excitedly about Jesus! The last few years we have done pretty much the same Christmas Eve and Christmas Day routine. On Christmas Eve morning we eat breakfast at Ryan’s parents’ house and open gifts with them, then go to Christmas Eve service, then to Ryan’s Aunt Renata’s house for dinner and gifts. This is always a highlight, as we love spending time with everyone in the family. Kinsie seemed to love opening gifts even more this year because now she got to help Brax open his as well! Brax of course enjoyed his gifts, but seemed more interested in the ribbons and boxes! Both of the kids slept the whole ride home that night and went right to bed when we got home. We still left out milk and cookies for Santa though so they could see if he ate them in the morning! If you recall, last year I woke up on Christmas morning feeling terribly ill. I spent the entire day vomiting, so I didn’t get to enjoy watching Kinsie see what she got from Santa and opening all her gifts. I prayed that we all stayed healthy this year for Christmas, and I did have a sinus infection, but I would take that any day over the stomach flu! The kids were so excited this year to see what Santa brought them. 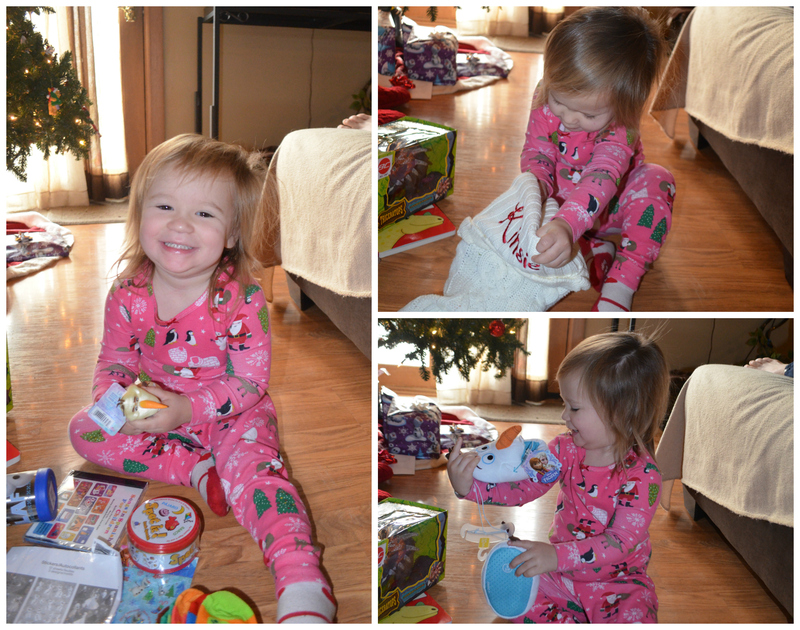 The main gift that Kinsie wanted was the game Hungry Hungry Hippos, so she was thrilled to see it when she woke up! She also got a fishing game, a talking minion, and a hippo shirt. Brax was excited about his Mickey puppets, dinosaur teething toy, and elephant rattle! Another tradition…after opening gifts with our individual families, we always meet at my parents’ house for brunch and gifts. Last year we had 3 kids opening gifts, and this year we added 2 more to the mix! Brax and Kolly couldn’t do a whole lot of the opening on their own, but the three older cousins came to their aid. It was Christmas chaos all morning and we loved every second of it. The kids were all so happy opening their presents and just being together. After all the gifts were open, we stayed for a while and the kids opened all their new toys and games and played with all of them. It was a perfect day spent entirely in our pajamas and enjoying each other’s company. Kinsie got a ton of hippo related gifts this year, which is funny since she has been obsessed with the song “I Want a Hippopotamus for Christmas.” She indeed got a hippopotamus for Christmas…or a few for that matter! Our boy Brax also had a wonderful first Christmas! It was a wonderful month of December, and we had so much quality family time. It is times like this that we really realize how blessed we truly are. Christmas with two kids certainly added another level of chaos, but I wouldn’t have it any other way and I can’t wait to see the joy on the kids’ faces year after year on Christmas. As I’m sure you could imagine, Kinsie was ALL about Christmas this year. She loved everything about it…the lights, the songs, the Christmas trees, the Nativity scene, you name it. She spent the last month gazing at the Christmas tree, playing with all her Christmas animals and manger set, and singing Jingle Bells both in English and in Spanish. 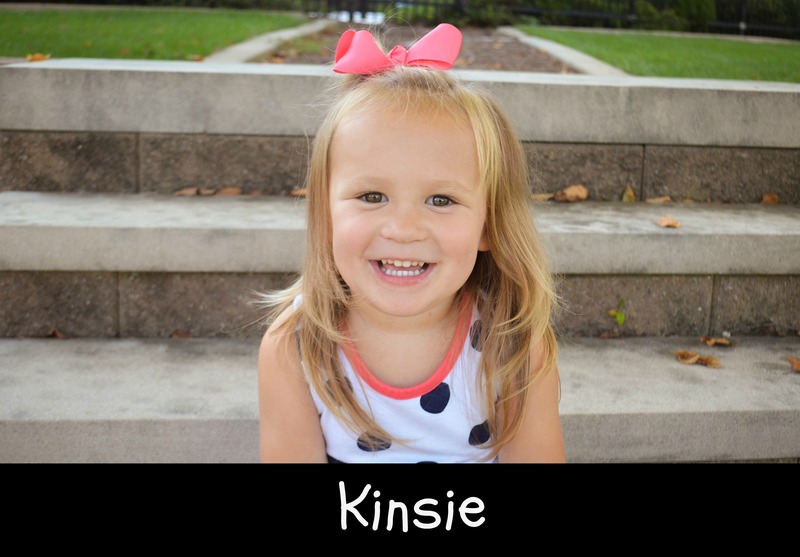 With all of the fun Christmas festivities happening, we still tried to constantly focus on the real reason for the season, which led Kinsie to sing “Happy Birthday” to Jesus every once in a while too! 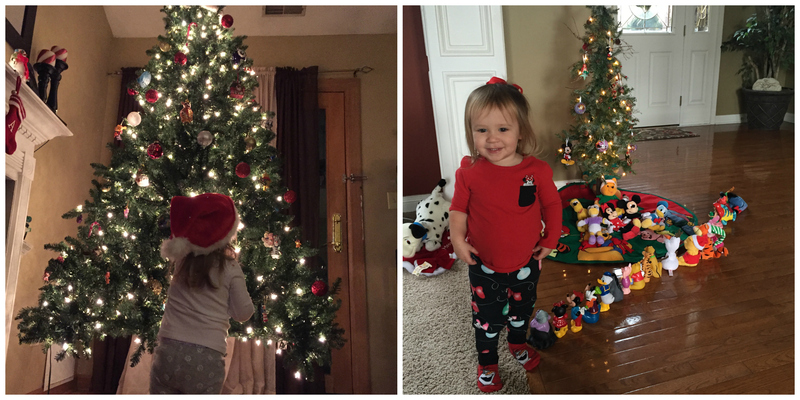 Kinsie admiring our tree, then in front of the “Disney tree” at my mom’s house…she was obsessed! Kinsie was much more aware this year of who Santa Claus was, and seemed more interested in him, so we took her to see him and I wanted to let her decide if she wanted to sit on his lap. As funny as the screaming toddler-Santa pics are, I didn’t want to do that to her if she didn’t want to sit with him! Luckily, she wanted to. She was a little nervous and wouldn’t speak a work to him, but she didn’t cry, and she still continues to talk about meeting him! On Christmas Eve, we spent the morning at Ryan’s parents house eating breaking and opening gifts with them. Kinsie was already rolling in new toys so she was pretty pumped! We went to Christmas Eve service as a family, then to Ryan’s aunt’s house for dinner and gifts. It is always a great time getting together with everyone, and Kinsie loved helping pass out, climb on, and open everyone’s gifts for them! I was so excited to wake up the next day and spend Christmas Day with Ryan and my little Christmas girl. However, when I woke up on Christmas morning, I felt sick. I was hoping it was just a weird pregnancy morning sickness kind of thing, but I soon found out that it was actually a stomach flu. One of the worst stomach flus I’ve ever had in my life. I still got to watch Kinsie open up her gifts from Santa, but had to run to the bathroom every so often. We still went to my parents to open gifts with them, but I was absolutely miserable. I had to miss Christmas breakfast, and it was exhausting to even open my gifts. After we opened gifts with them, we went home and I went straight to bed…only getting up every 2 hours to throw up again. Ryan took Kinsie to his other aunt’s house, where they got to still enjoy family and Kinsie even got to sing some karaoke! Ryan was full time Mr. Mom that day…taking care of Kinsie and me. I’m so lucky that he’s not only a loving husband, but a doctor-to-be and felt comfortable and willing to hold my hair back, rub my back and help keep me hydrated. Even though being sick is absolutely awful, the only thing worse would be if Kinsie got sick, or if something happened to the baby…so I had to keep that as my focus to stay hydrated. 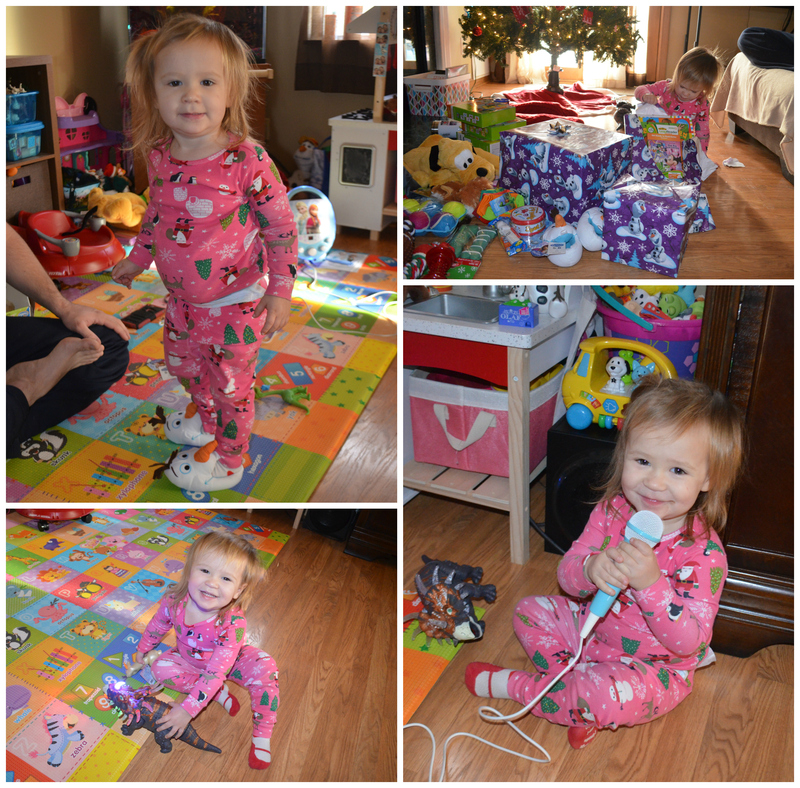 Some of her favorite gifts from Santa…a light up dinosaur, Olaf slippers, and a karaoke machine! Saying I was super bummed about being sick on Christmas is an understatement. And being in the height of my pregnancy emotions, I cried several times throughout the day since I was “missing” Christmas, especially since Kinsie was so excited about Christmas this year and I wanted to enjoy it with her. But I had to keep reminding myself that it could be so much worse. Some people were spending their Christmas in a hospital, and some were spending their first Christmas without a loved one. I realized pretty quickly that I am so blessed with the family and health that I have, and while being sick for one Christmas was bad luck, I am still very lucky. Kinsie still had a great Christmas, full of dinosaur and Olaf presents from Santa and family. While I recovered over the next few days, she was perfectly content playing with all her new toys at home. And most importantly, I still feel that we accomplished what we wanted to this Christmas, by teaching Kinsie why we celebrate Christmas and how special of a gift it was for God to send his son to the earth to die on a cross and save us all from our sins. Merry Christmas from the 4 of us!